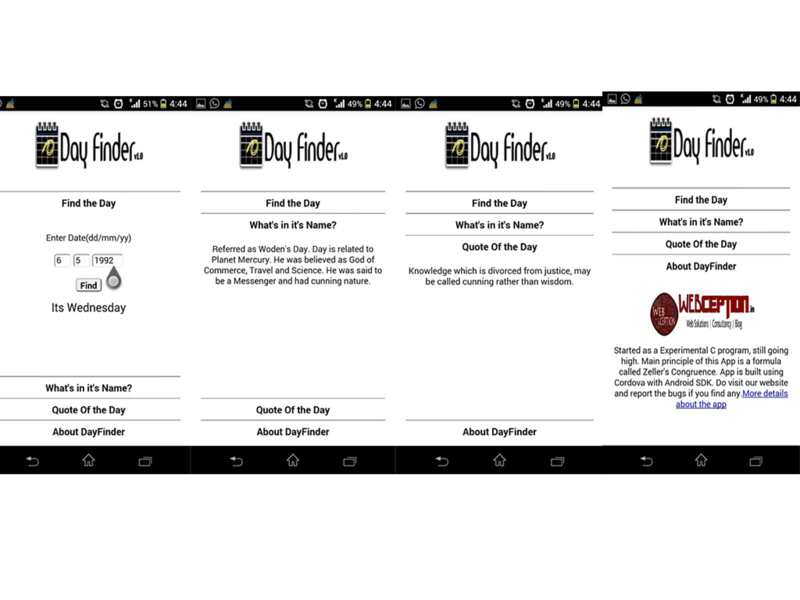 DayFinder : My First Android App !! Some days ago I came across a formula called Zeller’s Congruence in Wikipedia. It is a formula to calculate Day given the date. I started working on the formula to program a Day-finder. In the beginning i was working in C. I faced many bugs due to some problem with formula. But after reading the implementation method given in its Wiki page, bugs started getting solved. Later i found a way to integrate voice in C program. But still It was missing graphical touch. 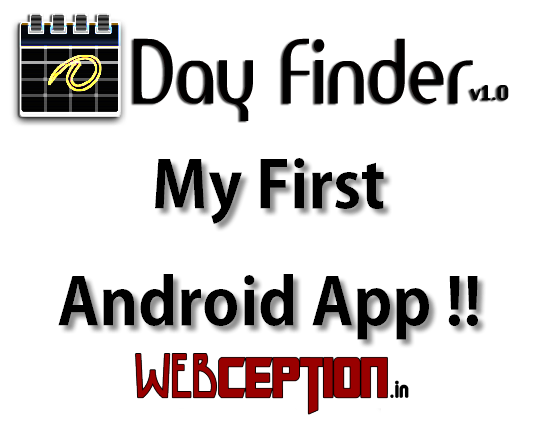 It was my aim to develop an Android app implementing same principle. Returns Day taking the date. It can show accurate result even for dates 100 years before or after. Added extra features like definition of Name, Quote of the day. If you face any problem with the app do report me. Still working to improve it and it may enter Google Play Soon!! !